Toronto's Science-Fiction convention brings together the Doctor, Lil' Leia, and a damn dirty ape. If you've ever attended a convention, you'll understand that one of the most memorable things to see are other visitors dressed in elaborate costumes all around you. Such was my experience when I attended Toronto's 26th Polaris Science Fiction convention last weekend. In-between panels on the Avengers and a dance that included a Doctor Who Remix, I approached several Cosplayers camera in hand to share their costumes with those who weren't able to attend. Enjoy! 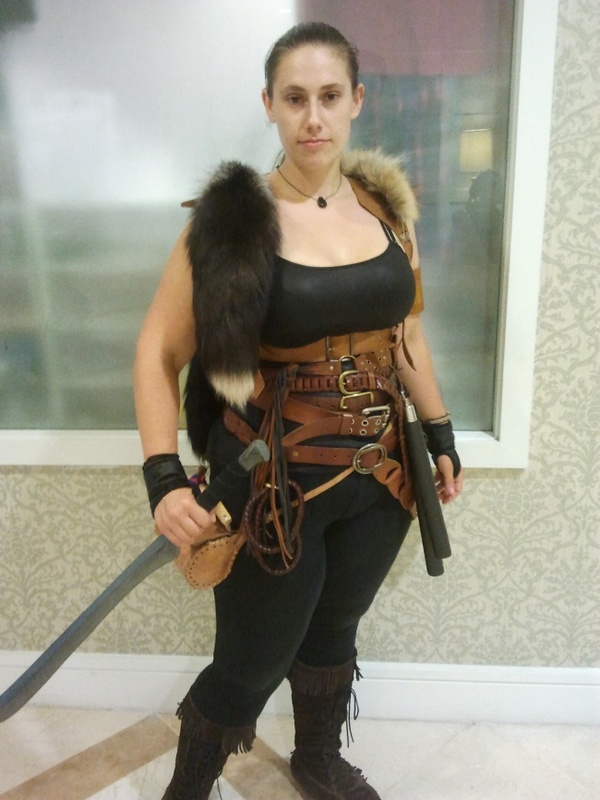 A Polaris Larper, and the many belts of her fallen enemies.